Remembering Wanda White Rencehausen | Remembering Wanda White Rencehausen | De Soto Obituary Search | Dietrich-Mothershead Funeral Home, Inc. Remembering Wanda White Rencehausen | De Soto Obituary Search | Dietrich-Mothershead Funeral Home, Inc.
Wanda Rencehausen was born in Desloge on August 24, 1927 a daughter to Fred and Edith (nee Davis) White. 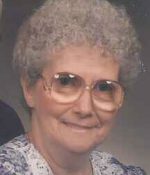 She died on November 25, 2017 at Mercy Hospital-Jefferson at the age of 90. 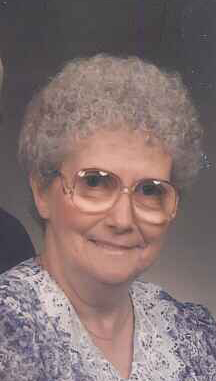 She is survived by her son: Gary (Linda) Rencehausen, De Soto; her daughter Karen Johnston, Festus; four grandchildren: Garry Rencehausen, De Soto, Lisa Rencehausen Wooten, De Soto, Brian (Jennifer) Davis, De Soto, and Wesley Johnston, Sr., Cadet; six great-grandchildren: Alexis, Hayden, Jennifer, Jessica, Jordan, Wesley, Jr., two great-great-grandsons: Jaxin and Jadin; and a son-in-law Dwight “Jack” Davis, De Soto. She is preceded in death by her parents; husband, Edgar Rencehausen; one daughter: Terry Davis; son-in-law Wes Johnston; five sisters: Theresa Bennett, Pearl Jones, Myrtle White, Ruth Barnard, and Margaret Scott; and six brothers: Roy, Fred, Leslie, Edgar, James, and Gilbert White. Rev Ron Duncan will officiate the funeral service.